Each month we round up some of the highest quality vector content on the web and post it here for everyone to enjoy. This month we had a lot of fun identifying the best vector tutorials, freebies, and articles. Please take a moment and review some of the best vector content from around the web for the month of August. Who doesn’t love an icy and refreshing cocktail on a hot, sunny day? This tutorial from Vector Diary explains how to create a vector glass, straw, umbrella, and even fruit in Adobe Illustrator and assemble it into a fun, icy cocktail. This quick tip from Layer Magazine’s Dave Cross will be a huge time-saver for anyone who works with Illustrator often. After watching this video tutorial you will understand how to edit document profiles in Illustrator to quickly create new types of files with pre-defined presets. Logo design is something that really can’t be taught in a tutorial. The most difficult part about logo design is not the execution of the logo itself; it’s the creative process behind it. This tutorial from Veerle demonstrates some basic techniques to create a typographic logo design. Trying to line up an indented, bulleted list by hand is next to near impossible. This InDesign quick tip from Go Media explains how to quickly create a bulleted list in InDesign with a very handy keyboard shortcut. Also, don't miss Go Media's Rapid-Fire Illustration Technique, which is awesome. A popular typographic trend in web and print design is letterpress styled text. This technique is easy to do in Photoshop but did you know that you can also achieve the same effect in Illustrator as well? This tutorial from Vectips explains how to create this effect using the appearance panel and graphic styles while keeping the text editable. If there is one thing I’ve realized about Illustrator over the years it’s that some effects look harder to achieve than they really are. This tutorial from Veerle was in response to a reader question asking how to achieve an overlapping crescent effect reminiscent of the work of M.C. Escher. Seamless patterns are an awesome way to add some interest to your design’s background. This nice set of mono circle patterns from Pattern Head will work very nicely when used as an overlay or as a primary part of your site’s design. Download this set and try them out for yourself. It’s been a long time since I’ve posted any vector elements on my website. This set of 20 seamless vector plaid patterns from Colorburned is a great way to simulate plaid textiles and can be used for the web, print, or even fashion design. Floral elements are one of those things that you can’t really have enough of. This set of floral elements from G01 Haider on Deviant Art is really nice and will make an excellent addition to your design arsenal if you choose to download them. Vector skylines are always useful design elements to have in your collection and can be commonly used to add some interest to your design’s horizon. This set of 15 vectors from Media Militia can be dropped into your design to create an awesome urban scene. When working digitally, it’s common for some designs to look a bit too perfect. There is something very refreshing about seeing hand-drawn elements incorporated into a design of a website or graphic. This set of 8 Illustrator pattern swatches was doodled by Peehaa and can be used for both your commercial and personal works. The etch-a-sketch is sort of like poker; it takes 5 minutes to figure out how to use but years to learn how to master. It’s like the rubik’s cube; one of those toys that every kid owns but none of them play with because they’re just too hard. This roundup from Abduzeedo shows that it is possible to actually create drawings with this popular toy. This article from Pixel Element features the work of Iv Orlov, a Russian illustrator who has designed for many magazines including Men’s Health, Inflight Review, AirUnion, Glamour, Harvard Business Review, and many more. To see his work, check out this fantastic round up. One big trend among web designers is adding illustrative elements. This has become popular because Illustrative techniques can add character and depth to an otherwise dull design. This round up of 60 illustrative websites includes overviews to give these designs a bit of context. A bad looking business card can often leave a bad impression. If you do a lot of networking in the design community, a good looking card is almost as important as having a good portfolio. This round up of 45 creative business card designs should be a helpful resource to anyone who is looking for inspiration for their next card design. When working with Illustrator, it’s always fun to see some of the amazing works of art that can be created with it. This round up of 25 inspirational vector illustrations from Creative Nerds is really nice. Check it out and be inspired! 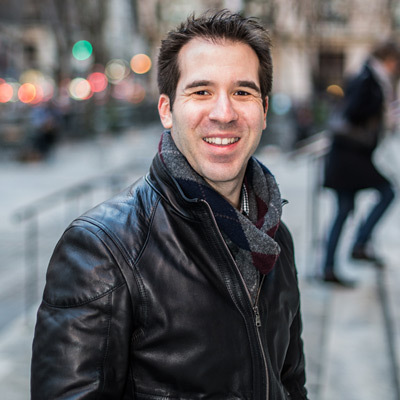 Grant Friedman is a veteran blogger, social media manager, design enthusiast, and photographer. Grant is a former editor of EnvatoTuts+ (formerly Psdtuts+) and Editor-in-Chief of Layers Magazine. Grant now works as a photographer and filmmaker covering the fashion and beauty industries.